You probably have a few emergency numbers for service technicians programmed into your cell phone. Having a plumber, locksmith or handyman on speed dial is always a good idea especially if you work with those people before. One number you should add to that list of trusted service reps is for Junk King Contra Costa. Although you might not need them in an emergency situation they will certainly be a huge benefit when you’re looking to make room in your home for new stuff. New stuff comes in many forms. It can be a new sofa that replaces the old one that has seen better days. It can be a new television that was dropped off by Santa. It can be new exercise equipment to help follow through on your New Year’s resolution to get into better shape. All of those objects require the removal of things that you would no longer be using. In other words, to make room for new stuff you have to get rid of old stuff and that’s where Junk King Contra Costa comes in the play. When you set up an appointment with Junk King Contra Costa to remove your unwanted items you’ll find yourself working with a dedicated team of movers. This is a pair of workers that have been licensed, bonded and insured. That makes them 100% professional and trustworthy. Even though there removing what you consider to be junk from your home they are going to make sure it’s done properly. That means knows scratching floors or banging into walls. This is what their trained for. These teams are also trained to pick out any item you’re getting rid of that would be put to use once again. This could be a piece of furniture, an old appliance, some clothing, books or toys. Just because you’re done with those things doesn’t mean they have to become trash. Instead, Junk King Contra Costa will see to it that those items get dropped off at a reputable charity that can put them to use once again. All it takes is one junk removal session with Junk King Contra Costa transform your home into a clutter free zone. That’s a great way to start the New Year. 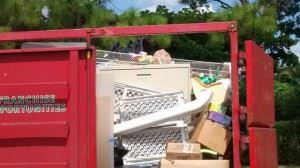 This entry was posted in Junk Removal and tagged Junk King, junk removal, stuff on December 26, 2016 by Krishna Vepa. Last updated August 17, 2017 .